The Sanford House was designed to be a permanent home to capture the spirit and history of T. Denny Sanford and his singular achievements in giving back to the community. 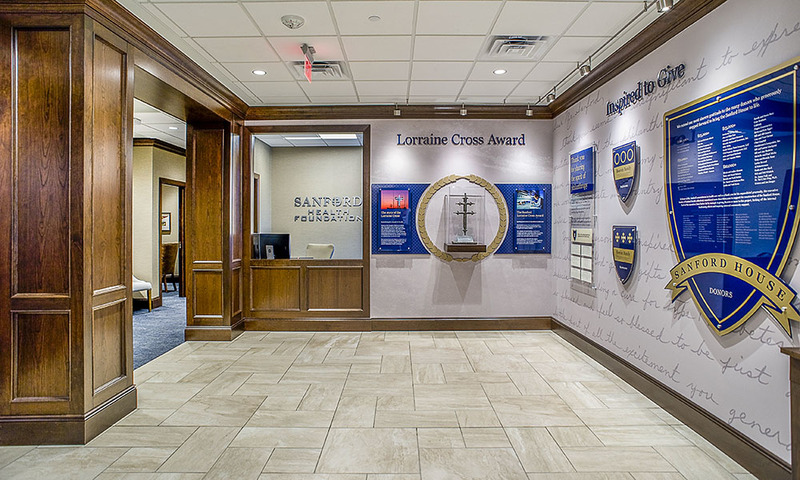 Supported by the private philanthropy of donors inspired by Sanford’s generosity, construction of the 18,000-square-foot $6 million Sanford House began in October, 2016 and was completed one year later. 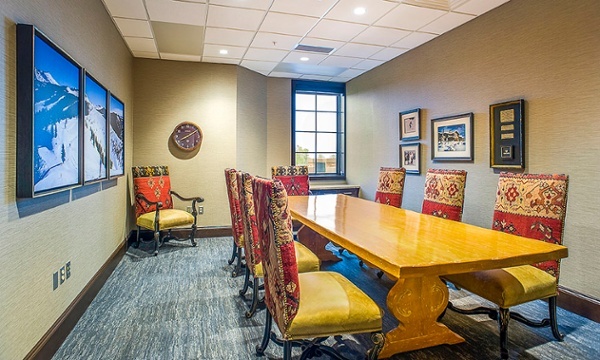 The total square footage of the building and associated amenities is 57,104 square feet. The project involved an accelerated design and bid package system that proceeded at the same time as final design specifications were being developed, fine-tuned and approved. 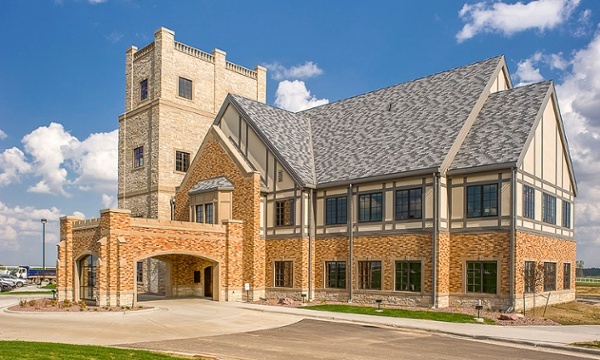 The 40-acre campus of The Sanford House sits prominently on the South Dakota prairie amidst grassland, ponds, and horse pastures. 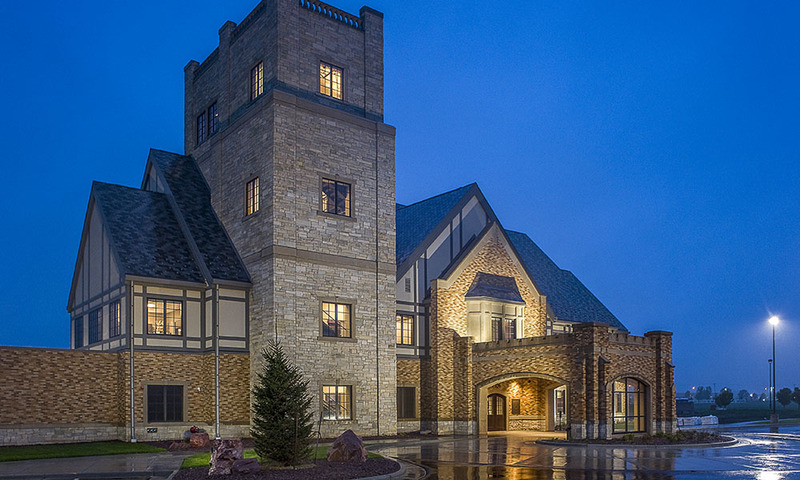 The structure — a two-story Gothic inspired stone and brick building with a three-story signature Sanford Tower — called for a dramatic front entrance. 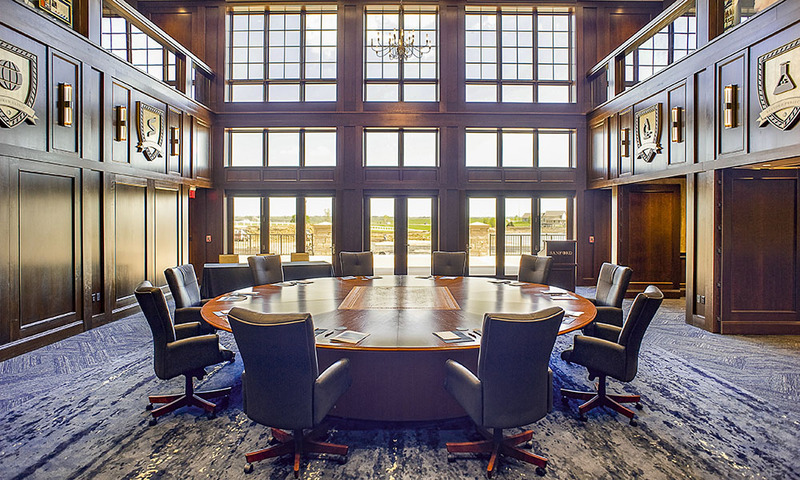 The building’s central area, called Legacy Hall, seats 60 people under a lofty ceiling, with a broad wall of southward-facing windows looking out over a series of patios and the lake outside. 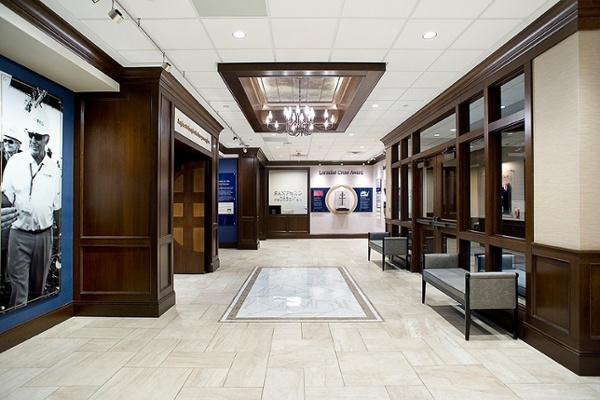 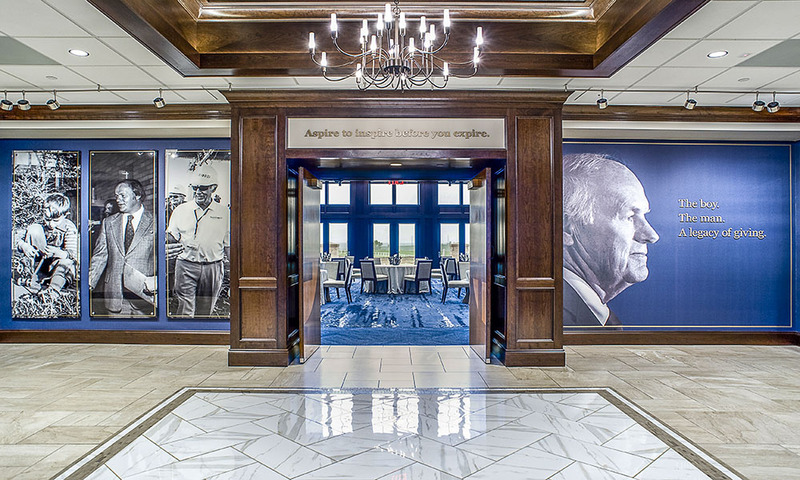 The central hall extends to the second-floor ceiling, and the catwalks surrounding the second-floor overlooks tell Sanford’s personal story, from his childhood to his business career and touted philanthropy. 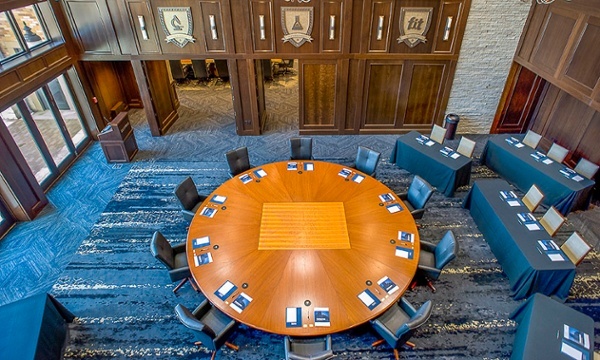 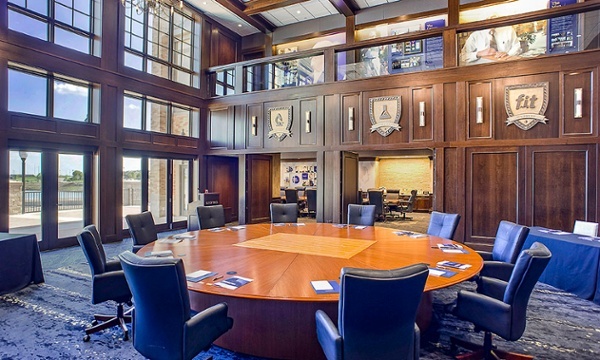 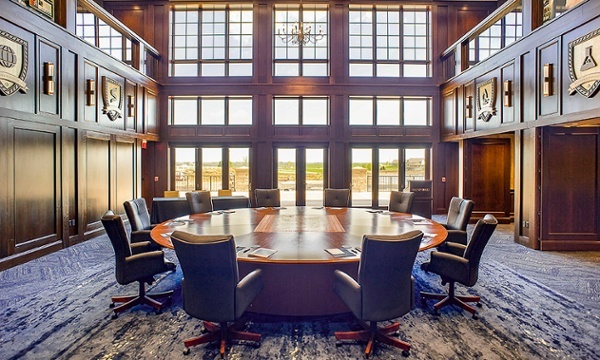 The hall is ringed by several rooms, including an open-concept room seating 15-20 people that serves as a home for the Sanford International Board. 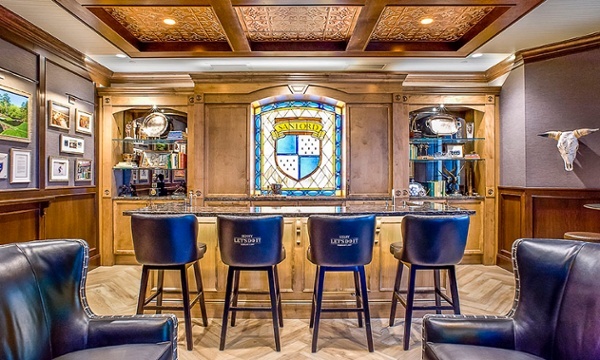 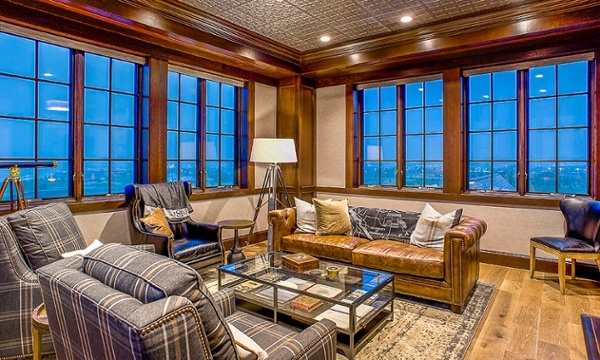 One lounge is devoted to mementos of Sanford’s golfing and sailing experiences and achievements. The second floor of the Sanford House houses Sanford Health Foundation leadership and 30 Foundation employees. 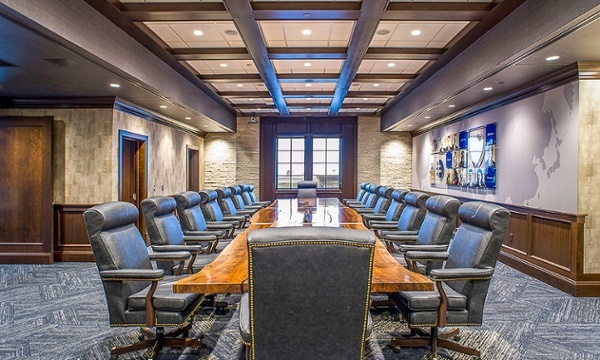 It also includes two conference rooms named after Sanford's vacation homes. “Desert Vista” is named after his home in Scottsdale, Arizona, and “Mountain View” is named after Sanford's residence in Vail, Colorado. 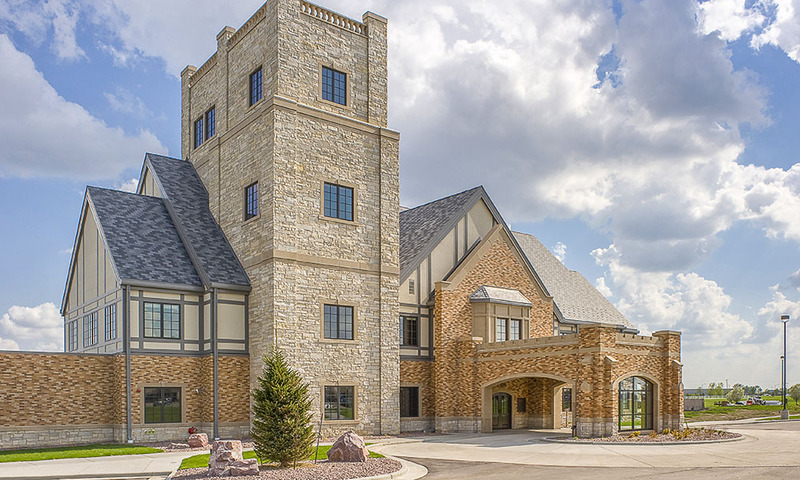 One of the most interesting features of the structure is the tower. 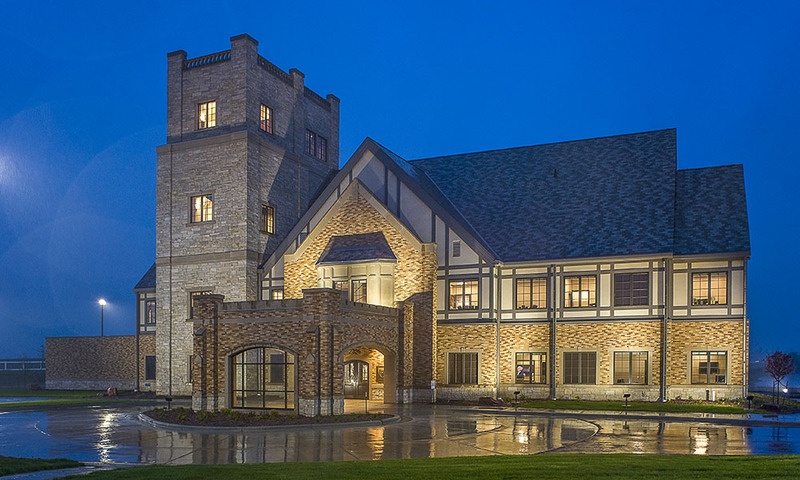 At the peak of the building’s tower is what staff call “Denny’s Den.” It is 42 feet above the second floor and commands a view of the lake and grounds.